Archbears’ Black Survival has a very unique concept. It’s a real-time PvP strategy game that pits you against 9 more players on a deserted island. Your goal is to be the last man standing among the group of survivors and the only way to do this is to kill 9 all survivors. You and other “test subjects” who have been brought to Lumia Island will begin their adventure from the research center. Most of your time will be spent exploring areas, finding ingredients and crafting weapons, armor and food in order to protect oneself and stay alive. As you keep exploring each area, you will find certain items of interest which can be stored in your bag or dropped. You will have to collect those ingredients that are required to craft a weapon or an armor of your choice. 1. Lumia Island, where you and other survivors are trapped, is divided into 22 areas – Lighthouse, Chapel, Hotel, Tunnel, Uptown, Temple, Well, Pond, Research Center, Cemetery, Slum, Trail, Fire Station, Beach, Forest, Factory, Town Hall, School, Hospital, Archery range, Alley and Dock. 2. Your goal is to explore these areas in search for materials for crafting weapons and food. While moving from one area to another, you will face hostile survivors and ferocious wild animals. They will launch a surprise attack so be ready for it. You will need to protect yourself, flee or eliminate them using your crafted weapons before they kill you. 3. To bring out the island map, tap the move button (footsteps symbol) at the lower right corner of the screen. The island map shows restricted areas with a stop symbol and soon-to-be-restricted areas with an exclamation point. Those areas that do not have these two symbols are termed “safe” but not for long as they too will have the exclamation mark on the map after a few minutes. 4. You begin your adventure from the research center. You will need to move out before the timer hits zero as the research center will soon be restricted and you will die if you do not relocate when it hits zero. You can move to a safe area or an area that has an exclamation mark (soon-to-be-restricted). Simply tap a location within a map to move. However, you will have to be careful with areas that have an exclamation mark and exit before the countdown timer hits zero, else you will die. If all areas in Lumia Island become restricted, everyone will die. 5. When you enter an area, you will see a timer at the top of the screen. For safe areas, the timer displays a countdown to second timer. 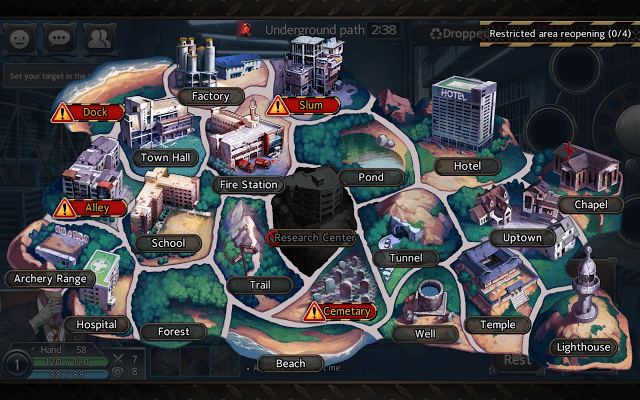 Once the first timer hits zero, an emergency siren icon may appear beside a second timer which warns that the restricted zone timer is activated and a player has to move to another area before it reaches zero. Soon-to-be-restricted timers usually have a red background color and a red beacon icon beside them. You will be warned that this area will be restricted a few second before the timer appears. You can still search for materials in such areas, but be careful as you there are higher risks of facing wild animals here. 6. The materials you have found are stored in a bag that has 4 empty slots. You will have to combine two or more stored materials to create food items or weapons. To make ingredient search easy, the game lets you set an item target. Tap the “Set Your Target in the Index” button at the upper-right corner of the screen, now select an item that you need (could be a weapon, armor gear, food). You will notice a list (known as “Navigation) of ingredients or materials required for crafting and the areas where you can find them just underneath the set your target button. You just have to move to a particular area mentioned in the navigation list to find them. You cannot move to areas whose names have been grayed out as they have been restricted for access. So you may have to wait and search for the same item in other areas (those whose names are white in color) until they can be accessed once again. 7. When you have crafted a weapon, don’t forget to equip it. Tap the weapon you just created and tap the “equip” button. Also, use any food item or potion if your character is injured or has less stamina. An equipped item, food or weapon, disappears from your bag, saving space for other items. 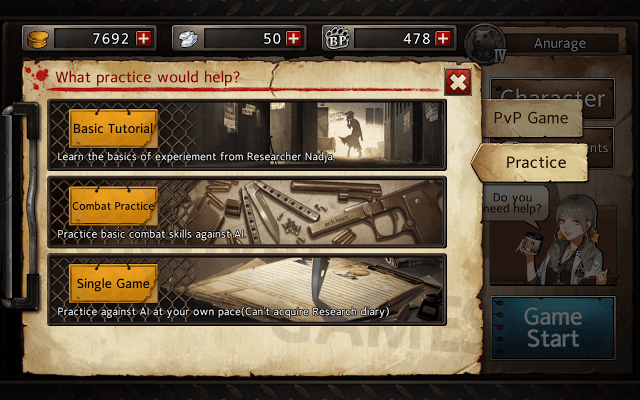 Black Survival is a PvP game, so fighting fellow survivors will be more exciting. You will have to fight, protect your character by wearing armor and kill human players. However, before joining a PvP match, I would recommend playing the game against bots. The in-game tutorial is short and you will need lots of practice before fighting real players. Thankfully, there are two single-player modes that will make gameplay easier for you. I would recommend playing the “Single Game” mode first before doing anything else. It lets you practice against AI and can be the best game mode to learn the ropes. In this game mode, you can reduce the number of bots if you want to play at your own pace and don’t want too many survivors to appear frequently. You can choose to fight only one survivor or a three if you want a slow-paced game. Tap “Create Room” and then tap a survivor. Next, tap the “Confirm” button to “kick” a bot out of the room. This way you can remove the ones you don’t need and keep only a few bots so that you can play the game at your own pace. “Combat Practice” mode is harder as you will face tough opponents frequently so don’t try this if you have just started playing the game. Once you have mastered the single game mode, only then you should try practicing combat against bots. 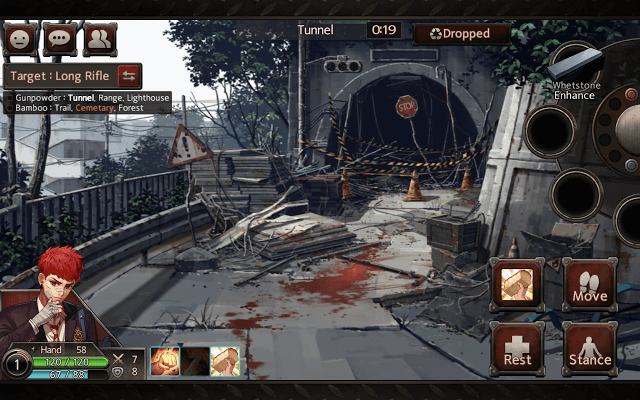 Combat mode offers rewards like gold and gems under certain conditions, such as eliminating at least 3 survivors out of four. 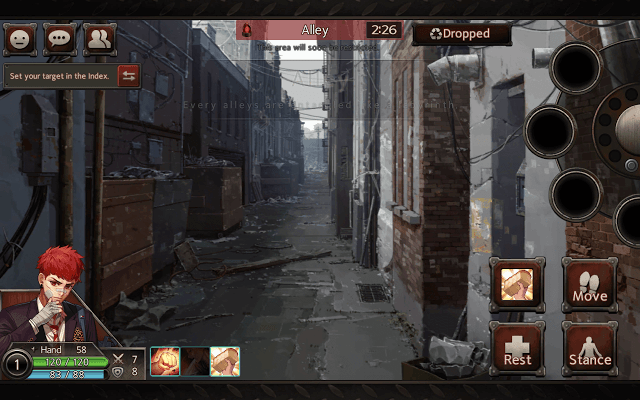 Whether you are playing Black Survival’s PvP match or a single-player mode, the game lets you choose crates that may contain food, weapon, armor gear or materials. As of writing this guide, the starter supplies are free for now but in future taking one to Lumia Island might cost you coins or gems. There are five types of supplies: Lunchbox, icebox, Type ‘A’ Supply, Type ‘D’ Supply and Bag. Lunchbox contains warm bread and cool water, so don’t have to search for food when you start the game if you take the lunchbox with you. 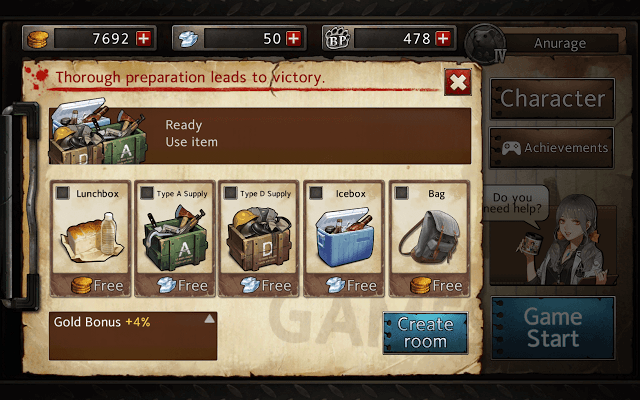 Type A supply contains weapons, so you can temporarily use it against enemies before crafting an advanced weapon. Type D contains a random armor gear which may protect you from damage. Icebox contains food or materials and if you select “Bag” you will get an extra item slot. You can select all five supplies or a single supply box with you to the island. You should take Type A Supply, Lunchbox and Bag before starting a new adventure. You can ignore the rest. Trial characters usually have higher stats than your starter character. To know them better, hit the “characters” button and tap the weapon type to your left to get a list of trial characters. So if you want a list of characters that specialize in Hand combat, tap the fist icon. Those that are expert in archery can be found under “Bow”. Now tap a trial character’s portrait and then press the select button to choose him. While you can stick with your starter character, choosing a trial character makes complete sense if you want to win a PvP match. Don’t forget to check a character’s abilities to know what special skills he/she posses. Tap a trial character’s portrait to get complete information about your selected character. Tap your starter character “Hyunwoo” to bring up his info page. Now tap the “Help” tab. Under “recommended early game weapon” you will see two items and the areas (colored locations) where they can be found. The section also provides quick crafting hints, such as combine cotton work glove with leather to craft leather glove. The recommended weapon section can be of immense help if you want to find a weapon early on in your adventure. Without a temporary weapon and a food item that restores your HP, it can be difficult for you to survive in Lumia Island. You will encounter merciless survivors as well as wild animals early on, so you should craft a basic weapon and get a food item as soon as possible at the beginning of your journey. You can craft a more advanced weapon and a much better food item later. Try to craft a weapon that requires few materials. An iron knuckle can be a good starter weapon to craft. It requires 3 Iron Ore and 1 Knuckle. Knuckle can be found at the lighthouse, well and temple whereas Iron ore appears at forest, trail, cemetery and lighthouse. The most basic food item is the Oriental Concoction. It requires 2 Boiling water and 1 oriental grass and can restore 35 Health. You can get oriental grass from the forest and trail, whereas boiling water needs to be crafted. You will need water, which can found at well, beach, dock, forest, pond and the fire station. You will also require lighter which appears at the school, slum and lighthouse. Combine both to make boiling water. If you don’t want to craft items, then you can always take a supply box with you to the island. Read Tip no. 2 to know which supply boxes you should carry with you at the start of game. However, most supply boxes contain random items which may or may not be of any use in battle. Searching for weapons, food and materials while exploring Lumia Island can be a bit time-consuming and risky considering the fact that you will have to move from one area to another, scavenge for materials before an area is restricted and fight wild animals/survivors at the same time. Crafting can be tough, especially if it’s your favorite item and has a long list of materials required for creating it. Well, there is a way to get a list of items/materials and the areas where you can find them without starting a PvP match or a single-player mode. All you have to do is tap the “index” button on your home screen to get a full list of materials required, the areas where you can find them and all possible combinations. The Item Index section divides all items under separate categories, such as weapon, armor, gear, food and normal. Example: You can tap the weapon tab to get a list of craft-able weapons and then tap a weapon to know what materials are required/additional items are needed to be crafted to create a new item. The Index explains everything via a handy flowchart. So if you have a particular weapon in mind and you want to craft only that item, just tap the weapon, note down the materials required, the areas where you can find them and all possible combinations. This way you will save time and go directly to those locations to find all ingredients. If you face a wild animal, and if your HP is pretty low, better tap the flee button (running man icon) to avoid confrontation. The animal will disappear. You can then tap the “Rest” button and then “Heal”. It will take a few seconds to heal completely. You can also restore stamina via “Rest”. In case you are fighting a hostile survivor and the damage you are receiving is more than the damage your character deals, you can tap the move button to move to some other place. Choose a safe area, i.e. an area that still doesn’t have the soon-to-be-restricted timer activated. Such areas won’t have any icons on the island map. Move to a safe area and tap rest > Heal to restore your character’s health. It will take a few seconds to heal completely. Always have one slot for food that improves your HP. Stock up enough quantities of the same food type so that you don’t have to run away or move to a safe place. At one point of them many areas will be restricted and you and your opponent may follow you to a safe area. Choose a basic HP-boosting food that requires very materials to craft (example: Oriental concoction). Such foods can be prepared instantly. I hope you will find this guide helpful. If you have any questions, please do not hesitate to ask them via the comment form below. Additionally, you can also provide helpful tips and strategies you may know or solve problems faced by players. Wow quite helpful tips. Thanks for sharing!